Are you ready to experience how Miessence's potent, raw, vegan, certified organic superfoods can make a difference to your vitality and well-being? As you take part in this 10 day journey, you may discover changes to your body, energy levels, your well-being, and even your mind! 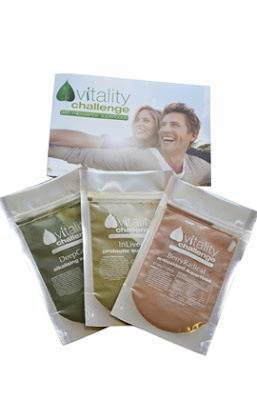 Please note: The Vitality Challenge is a promotional product and is therefore not eligible for discount. Questions? Helpful Organic tips? Write them here! How to Cut up a Chicken!